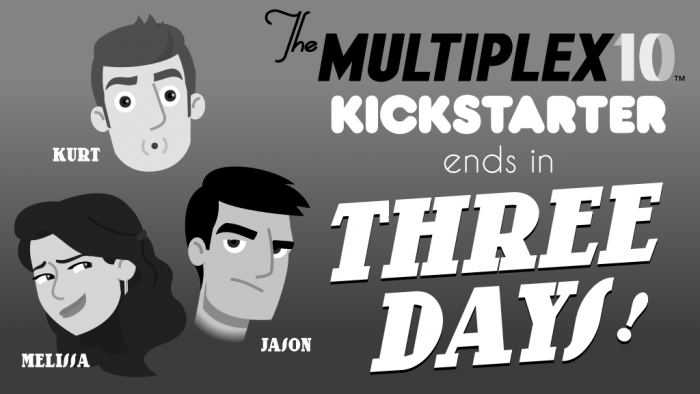 The Multiplex 10: the animated short Kickstarter project crossed its base funding goal on Tuesday night, so it is officially greenlit! But don’t let that stop you from contributing. 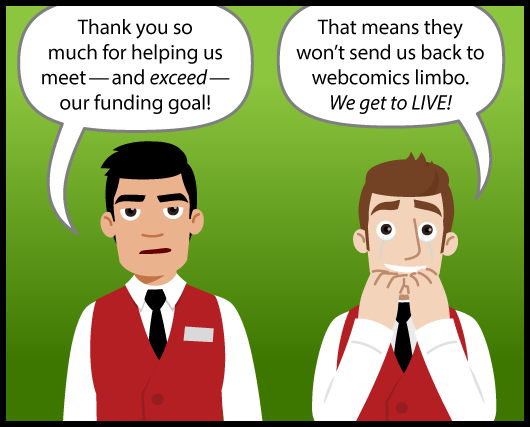 Every additional dollar we raise will go to improving the animation, improving the sound, or distributing and promoting the short — including producing more comics set with Kurt, Jason, and the rest. Speaking of which… a new Multiplex 10 comic is up over at the Multiplex 10 website. Now that the short is officially greenlit, I’ll be posting new Multiplex 10 strips on an irregular (but roughly weekly) basis for a little while. A couple of months, maybe? 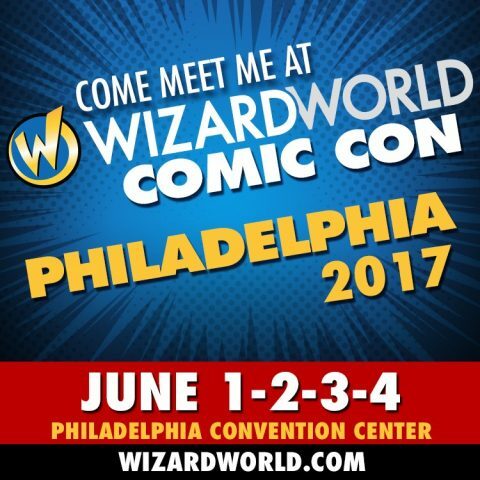 We’ll see! Whenever I do a story arc, they tend to run a little longer than I planned, so… who knows? 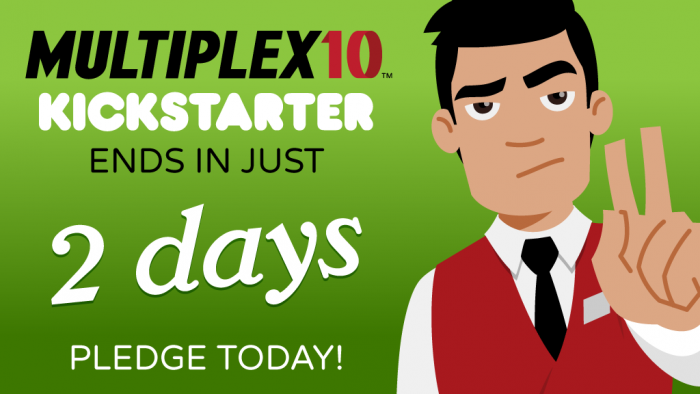 The funding period ends this SUNDAY, MAY 7th at 11pm Central, so act soon!